A coyote crosses a meadow at dusk looking for prey. 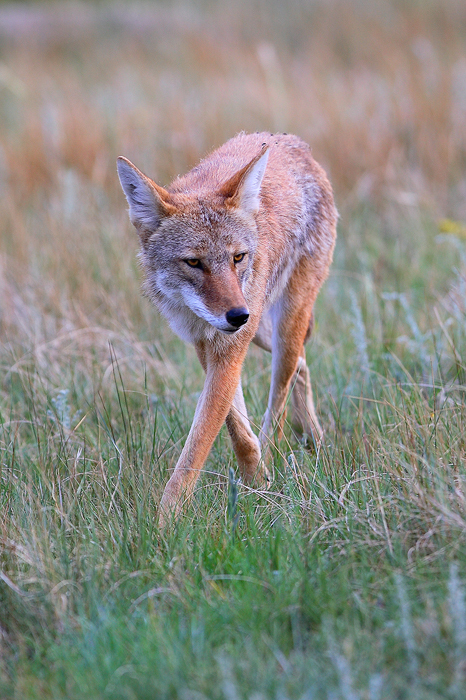 Coyotes are highly skilled stealthy hunters that use their senses to find their prey. With wolves long killed off from Rocky Mountain National Park, the elk essentially have no natural predators, so there is far less opportunity for them to scavenge kills like they would in a place such as Yellowstone, making their hunting skills that much more important.